Hafiz Hafeez ur Rehman, Chief Minister of Gilgit-Baltistan, Pakistan addresses at the inaugural session of the international conference on Climate and Environmental Change Impacts on the Indus Basin Waters. “The seasonal shift in snowfall to late spring and the subsequent heat waves lasting two to three days have caused rapid melting of snow, flash floods, early avalanches, and loss of life and property”, said Hafiz Hafeez ur Rehman, Chief Minister of Gilgit-Baltistan, Pakistan, during the inauguration of the international conference on Climate and Environmental Change Impacts on the Indus Basin Waters. Mr Rehman appreciated efforts by the International Centre for Integrated Mountain Development (ICIMOD), World Bank, and International Water Management Institute (IWMI) to organize a conference to enhance cooperation on the development of knowledge to help shape policies in the Indus River basin. 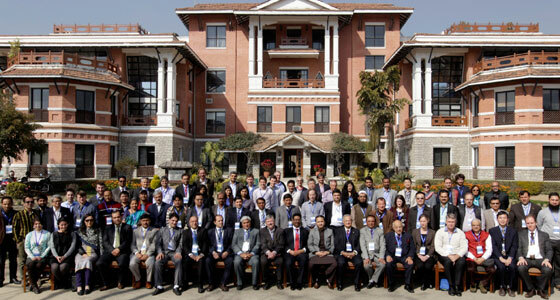 Participants of the international conference on Climate and Environmental Change Impacts on the Indus Basin Waters. 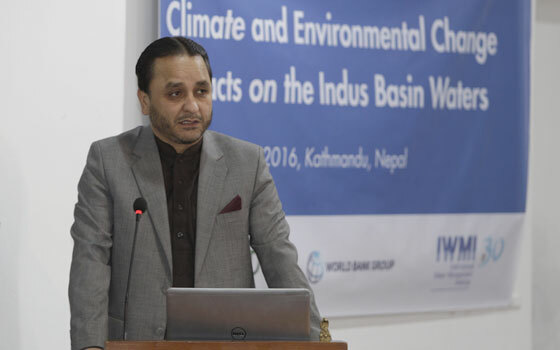 “The Indus River supports a population of about 215 million inhabitants of Afghanistan, China, India and Pakistan, whose livelihoods depend on these waters”, said Eklabya Sharma, Director of Programme Operations at ICIMOD, emphasizing the importance of research on the impacts of climate change in the Indus basin. “While reducing knowledge gaps is important, it is equally important that people and communities benefit from the knowledge we generate,” he added. Dr Sharma also stressed the need for transboundary cooperation among the four countries to support the sustainable development and management of Indus waters. “The Indus Basin is the most glacier and snowmelt dependent basin in the Greater Himalaya region. Climate change and resulting changes in seasonal runoff patterns pose significant challenges to livelihoods and socioeconomic development, and it is the poor who are the most vulnerable", said Christina Leb, Senior Water Resources Specialist at the World Bank, emphasizing that adaptation strategies and policies need to be informed by science. Alan Nicol from the International Water Management Institute stated that the "level of challenges facing the Indus Basin call for collective action across the basin". He further emphasized the challenge of population growth, calling for "greater attention to the future employment needs of the growing economically active population". During the conference, scientists shared results from past and ongoing research, while practitioners presented the progress of ongoing initiatives in the basin. 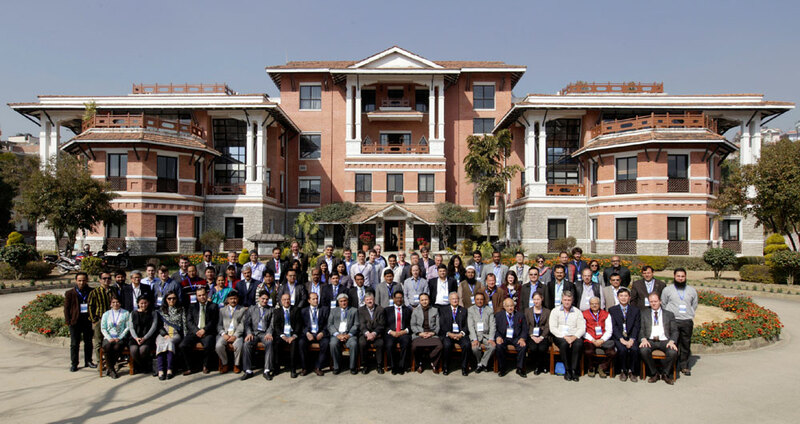 The topics of discussion were diverse and included climate change and variability, cryosphere dynamics, data collection and sharing, water availability and demand, climate induced hazards and risks, and local and basin-level adaptation strategies. A pre-conference workshop addressed the development of tools to support stronger analysis and support to decision makers in complex upstream geographies.